NovoEd is introducing Programs, a way for your team to group multiple courses and provide your participants the opportunity to connect across your various class sessions. We believe that this feature immensely improves community building in online courses, during and after the course. Since Program Space is a relatively new framework, NovoEd support has brought together a few Program Space best practices to share with all course designers who may want to implement this collaboration tool. First of all, what is a Program Space? A Program Space is a broad community forum where learners can network with other participants in the program and have a bird’s-eye view of timelines for multiple courses within your organization. 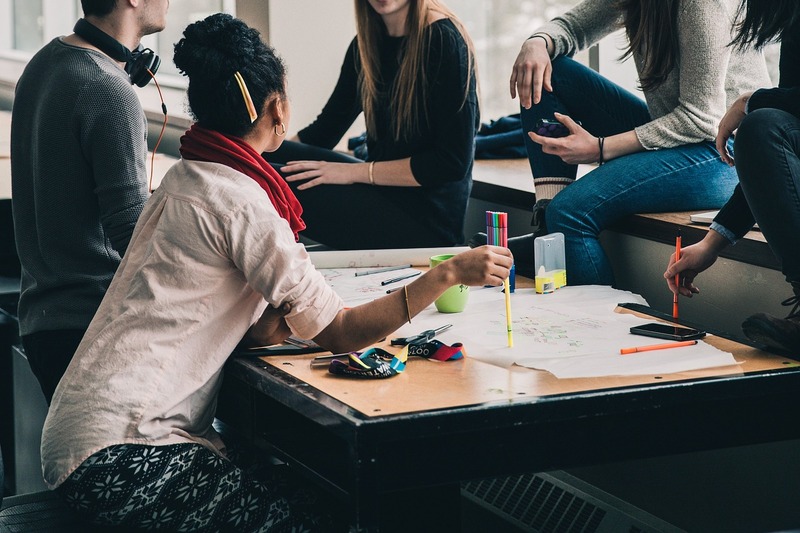 Within the Program Space, learners have the opportunity to network with others (even once a course is over) and learners may even create groups based on special interests or industries. In addition, learners can be more informed of others’ perspectives and activity level by looking at each others’ Program profiles, which showcases one’s contributions across all courses in that Program. Program Spaces promote online community building, provide access to additional course offerings, and enable cross-course community discussions. A course has a start and end date, and typically entails one focal point with specific learning objectives. On the other hand, a Program Space is self-paced, and therefore doesn’t have an end date and can be accessed at any time. The Program Space is a customizable community space outside of the course environment. E.g. Say you have multiple levels of support teams (L1, L2, L3), then you can have a Support Program Space, where all three of your Support teams can interact with each other. Another Program Space can be for all your company’s Engineers, and another Program Space can hold all Sales teams. E.g. Continuing the Support example from above, you can also create To-Dos specific to a track in your Program Space. If one of your Support team members completes all courses in the Support Program Space, you can also enable Certificates, or Statements of Accomplishment. Create an exit survey within a course in which learners have to complete a task on the Program Space. This will allow them to become familiar with the space and will encourage them to participate in the community after their course ends. The following 4 Program Space styles embody the core functionalities of this unique feature and support the most common Org Admin Program Space intentions of course alumni networking, track completion, and community building. Reward: Access to the Program Space is a reward after completing a course. Debrief: Learners are all funnelled into the Program Space after a course closes to debrief and connect with alumni from previous runs of the course. Sandwich: The Program Space sandwiches the course. – E.g. : After registering for a course, learners participate in the program space before their desired course opens, interacting with course alumni from other courses and with access to their own series of courses to browse…then they take the course, and when it’s over, they return to the Program Space and can continue interacting with alumni from various other courses. 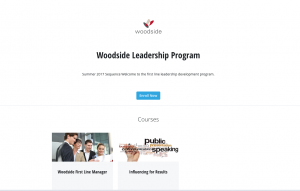 – In this case, you could eliminate the first module of introductions within each course and just have introductions in the Program Space. Tracks: Design a series of courses in order on the Program Space. Participants can get a Certificate or Statement of Accomplishment if they complete all courses within a certain track. In some of the most successful company programs, Org Admin have found it beneficial to create one Program Space for each department within their organization. Set your intent, then consider how you want to layout the style of your Program Space.